HARRISONVILLE, Mo. (BP) — Xavier Cunningham, 10, was climbing into a treehouse when he encountered a massive wasp nest. As he tried to swat a wasp away, he lost his balance, fell to the ground face-first and impaled his head on a foot-long meat skewer he and his friends had found and stuck in the ground. The rural congregation where Cunningham and his family worship — The Church at Pleasant Ridge in Harrisonville, Mo. — says God’s supernatural protection and the international media coverage it drew spawned opportunities for worship and evangelism. A “Miracle Sunday” service at the church Sept. 23 drew nearly 150 attendees for a Gospel presentation and testimonies by Cunningham’s family. At least two dozen people prayed at the altar for the miracle of a loved one’s salvation. The service also included a written message from Missouri Gov. Mike Parson celebrating God’s work to save Cunningham’s life. The service focused “not on the miracle, but the God of the miracle,” Malachi O’Brien, pastor of The Church at Pleasant Ridge, told Baptist Press. Miracle Sunday was an opportunity to share Christ with “people that wouldn’t normally come to church. But because of the viralness of the story and the globalness of the story,” they were willing to attend. Xavier Cunningham, 10, has been the subject of international media coverage since surviving a serious head injury Sept. 8. Screen capture from USA Today.In addition to the special service, O’Brien, a former Southern Baptist Convention second vice president, has used Cunningham’s story at least a dozen times as a springboard to evangelism in personal conversations. Following Cunningham’s Sept. 8 accident, he was rushed to a local hospital and eventually found himself at the University of Kansas hospital in Kansas City, Kan. The skewer had pierced his face, traveled into his skull and penetrated to the back of his head. 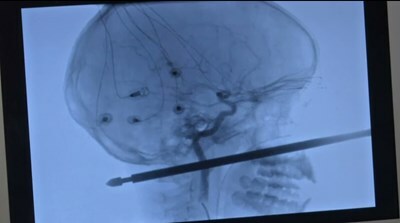 Doctors determined the skewer had spared Cunningham’s eye, brain and spinal cord along with all major arteries. It had punctured one of Cunningham’s jugular veins, but it had sealed off the wound and kept him from bleeding, according to media reports. With Cunningham’s agreement, the medical team decided to wait until the next morning to remove the skewer. 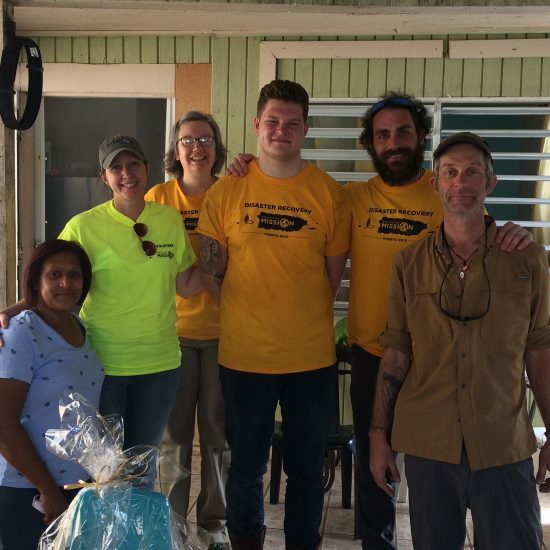 Meanwhile, O’Brien and other members of The Church at Pleasant Ridge prayed with the family and asked other believers around the world to join them in prayer. The next day, surgeons removed the skewer without causing any additional damage and predicted a complete or nearly complete recovery, according to media reports. Two weeks later, Cunningham “was running around after church,” O’Brien said. “You couldn’t draw it up any better,” Ebersole said. “It was one in a million for it to pass five or six inches through the front of the face to the back and not have hit” any major organs. In addition to The Post, numerous media outlets have picked up the story, including CNN, The New York Times, NBC News and the BBC. O’Brien agrees Cunningham’s survival was both miraculous and newsworthy. “A miracle is when God does something, whether it’s big or small, that something inside us knows … there’s nothing that can explain what happened apart from God Himself,” O’Brien said. O’Brien stressed that God is all-wise and does not always grant believers’ requests for miracles, even when those requests are made in faith. But when He does, it should be an occasion for pointing to Jesus and His miraculous saving power.